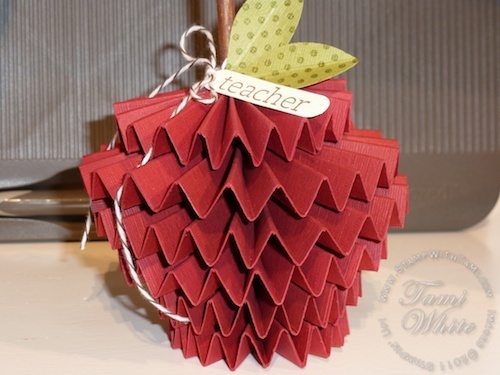 Rosette Apple for the Teacher! Here’s a big wow! This is an apple made from rosettes, you can create this with the Simply Scored tool #122334, or the Stampin’ Up!’s Designer Rosette die #125594.